Why stop at the Dock? 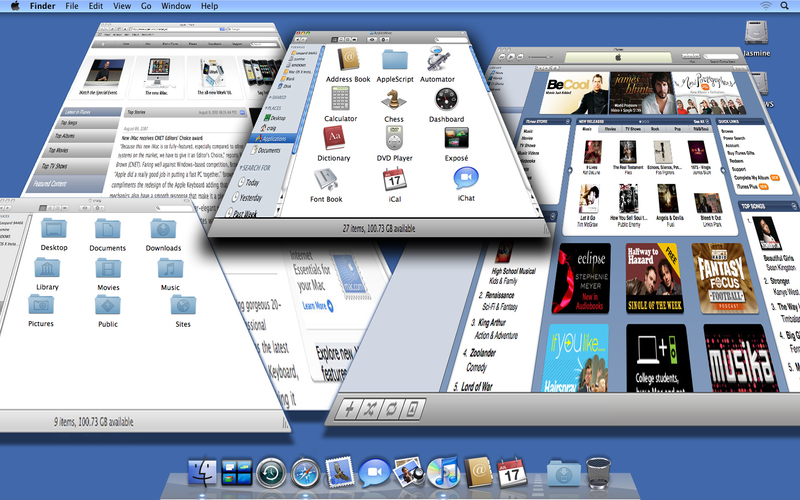 If the changes to the Leopard Dock are a good idea, shouldn’t Apple go all the way and do the same thing to the Finder? And then applications, too! Hell, I can totally see these windows flying around with Spaces and Exposé and Core OMFG! Forget about October, I’m stoked about 10.6! Let’s hope they add more reflections and transparency, too!